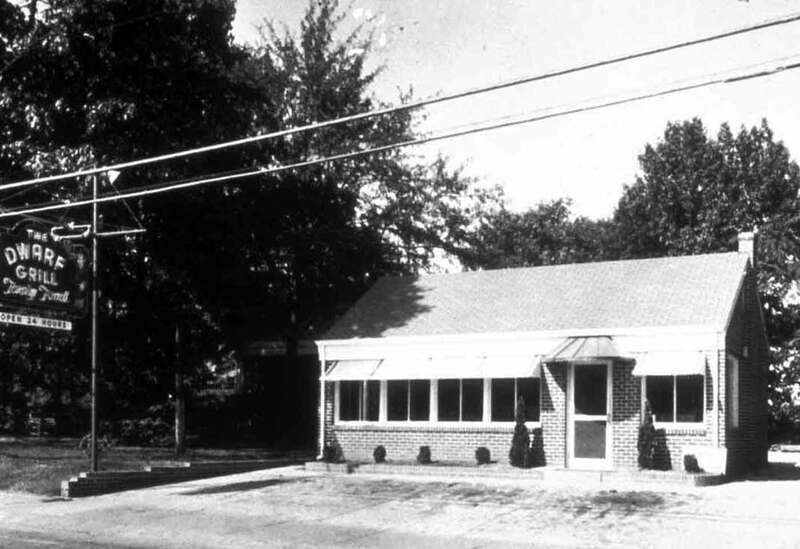 In 1946, Truett Cathy opened a tiny diner called the Dwarf Grill in Hapeville, Georgia. 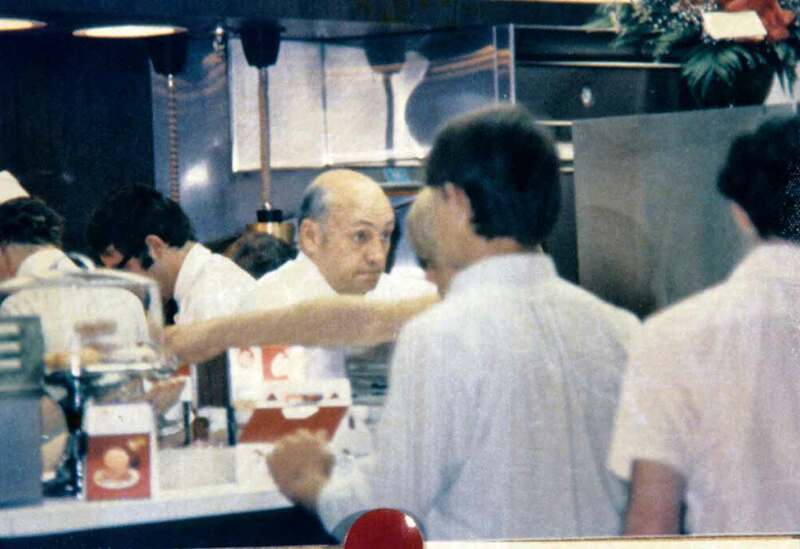 It was in this diner where Truett developed the signature Chick-fil-A Chicken Sandwich and the quality service for which the family-owned business is known. Here’s a glimpse into the company that has grown to become the nation’s top chicken chain. It all started with a boneless breast of chicken. Hand-breaded, perfectly seasoned. Pressure-cooked. Served on a toasted, buttered bun with two pickles. We still make the Chick-fil-A Chicken Sandwich the same way – and we still believe in serving great-tasting food, made with the freshest ingredients and delivered with a warm smile. The family-owned business has grown well beyond its roots in Atlanta and is now delivering its signature brand of service and food made with fresh, high-quality ingredients to guests in 47 states and Washington, D.C. After pioneering the concept of restaurants in shopping malls, opening its first mall location in 1967, the first standalone restaurant was opened in 1986. Chick-fil-A reported more than $9 billion in revenue in 2017, and has enjoyed 51 years of positive growth. Each of our restaurants is a locally owned small business, operated by an independent franchisee who is committed to the neighborhood he or she serves. 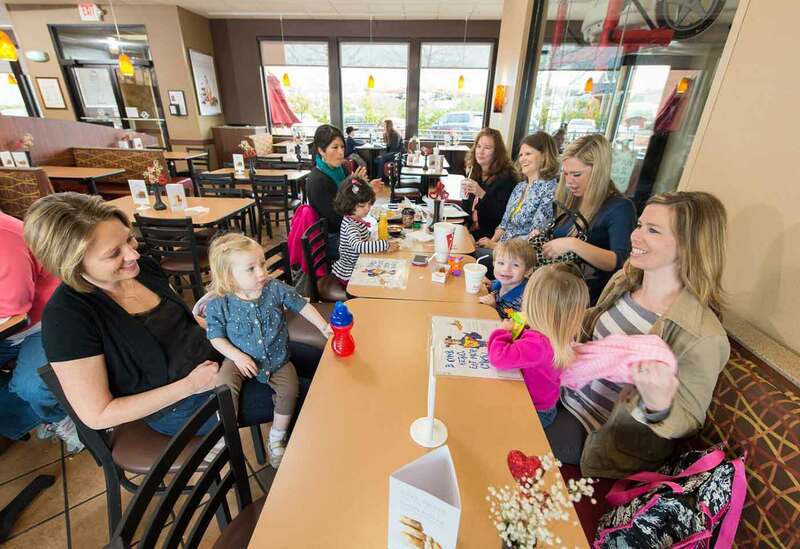 Personal connections are important at Chick-fil-A, as Operators engage with and support local communities through fundraisers, charitable donations and getting involved with causes that matter to their communities and guests. Operators frequently work to support local schools and organizations. Our Operators’ investment in Team Members goes beyond wages, with leadership roles and promotions that lead to management positions, opportunity to earn college scholarships (we’ve invested more than $60.5 million in college scholarships for team members) and respect for work-life balance (closing on Sundays). Our biscuits are made fresh each morning. Our salads are made of whole vegetables and fruit that are delivered fresh to the restaurant and hand-chopped throughout the day. We serve chicken that is 100 percent whole breast meat, without any fillers, hormones or additives. Our chicken is hand-breaded in the kitchen every day and is cooked in peanut oil, which is naturally trans-fat and cholesterol-free. 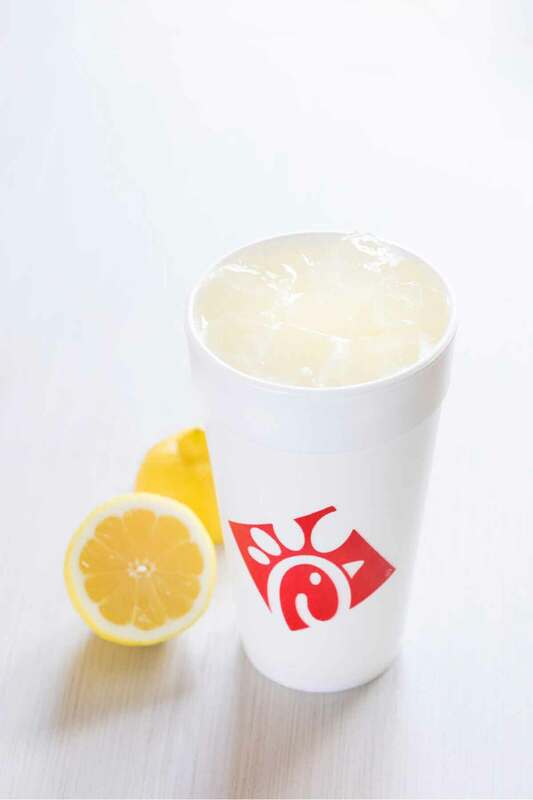 Not only is our food fresh, but at Chick-fil-A, we strive to offer a balanced menu that enables customers to make personal choices to accommodate their individual dietary preferences. We tested more than 1,200 recipes to perfect our grilled chicken. We even invested $50 million to develop our own grill because the perfect one didn’t exist. The grill sears chicken perfectly on cast-iron grates as if it were cooked on your backyard grill, only faster. And the chicken is so tender because it is marinated in sea salt, lemon, garlic and savory herbs. One of the first grilled breakfast sandwiches available in fast food, our Egg White Grill is a protein-packed, lower-calorie and delicious breakfast option for customers on-the-go. Our grilled nuggets are a high-protein, low-fat option. When paired with our Superfood Side, you have a complete meal for only 280 calories. The Superfood Side is made fresh with chopped Broccolini® and kale, is tossed in a sweet and tangy maple vinaigrette dressing, topped with dried, sour cherries and served with a variety of roasted nuts. We want our guests to feel at home in our restaurants, and new restaurants often include large gathering tables and hand-crafted design elements that reflect our heritage and that of the local community. By the end of 2019, every Chick-fil-A across the country will serve chicken raised without antibiotics. A leader in customer service satisfaction, consumers voted Chick-fil-A, Inc. #4 in Harris Poll’s annual corporate reputation survey, ranking the company 4th out of 100 in 2018. Chick-fil-A was also recognized for customer experience again in the 2018 Temkin Experience Ratings survey. Airport Revenue News named Chick-fil-A “Best Franchise Brand” in 2018. Chick-fil-A was named one of the 100 best places to work by Glassdoor in 2017. 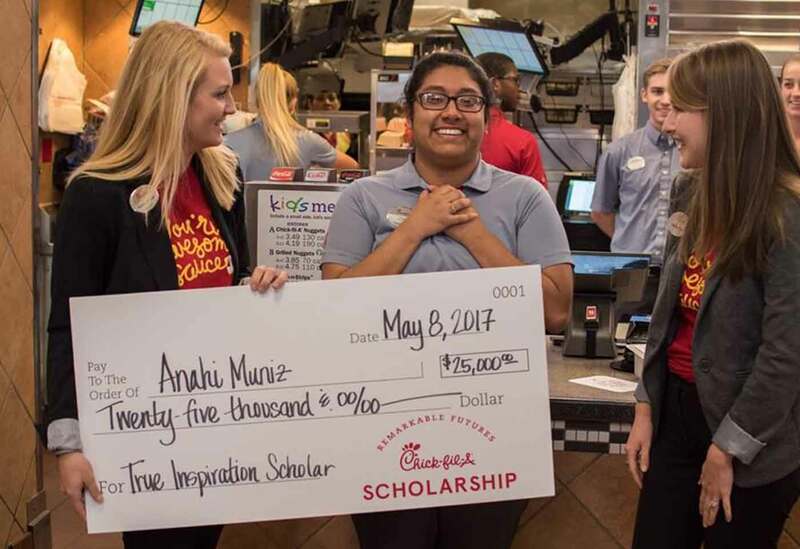 Continuing its founder’s legacy of generosity and service, in 2017 the company’s philanthropic Chick-fil-A Foundation awarded $1.23 million to 23 not-for-profit organizations across 13 states through the True Inspiration Awards and $14.5 million in scholarships in 2018 to restaurant Team Members nationwide. Each Chick-fil-A restaurant employs about 70 people – bringing that many job opportunities to each local community. Visit a restaurant in your community or visit us at www.chick-fil-a.com to learn more.